After immense success of Ghajini, Aamir Khan is all set to work in another remake. This time the film chosen by Aamir is 7am Arivu. Both the films have been directed by AR Murugadoss. 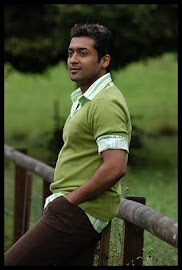 7am Arivu is being released on 26 October 2011 and has Surya and Shruti Haasan as the lead pair. Sources claim, Murugadoss held a screening of 7am Arivu for Aamir Khan lately. The actor was so impressed with the storyline that he immediately took a decision of remaking the film in Hindi. Aamir also praised Shruti Haasan’s performance in the film. He plans to have her as the lead actress in Hindi remake as well. In 7am Arivu, actor Surya will be seen playing double roles, a monk and a circus artist. Shruti will be seen as a young scientist and actor Johnny Tri Nguyen plays a negative character in the film. This is a golden opportunity for Kamal Haasan’s daughter Shruti who has not been able to make a mark in Bollywood yet. Her past Bollywood releases include Dil Toh Baccha Hai Ji and Luck. Aamir is better known as 'The Perfectionist' in Bollywood and working with him can do wonders for Shruti’s career. 'Remakes' is the latest buzzword in the film industry today. Bollywood films take inspiration from southern hits and vise versa. Aamir Khan’s Ghajini, Salman Khan’sReady and Bodyguard were remakes of southern films. Now Bollywood blockbusters like3 Idiots and Dabangg are being remade in Tamil. why remake in Bollywood? why can't accept things the way they are? subtitles isn't enough ? i hope art would be respected the way they are , and i am also hoping that Bollywood industry would put some heads together on a new research of the unknown and come up with something informative and the money will be well spent than a remake of an existing film , be more productive for the future viewers. please let us consume films storyline that are not been repeated. Indians can do better i believe.